Young illustrators and fashion designers can get their start with this one of a kind Digital Dream sketchbook from Make It Real. Features everything from stencils and colouring pages to a full design guide and tons of accessory stickers. 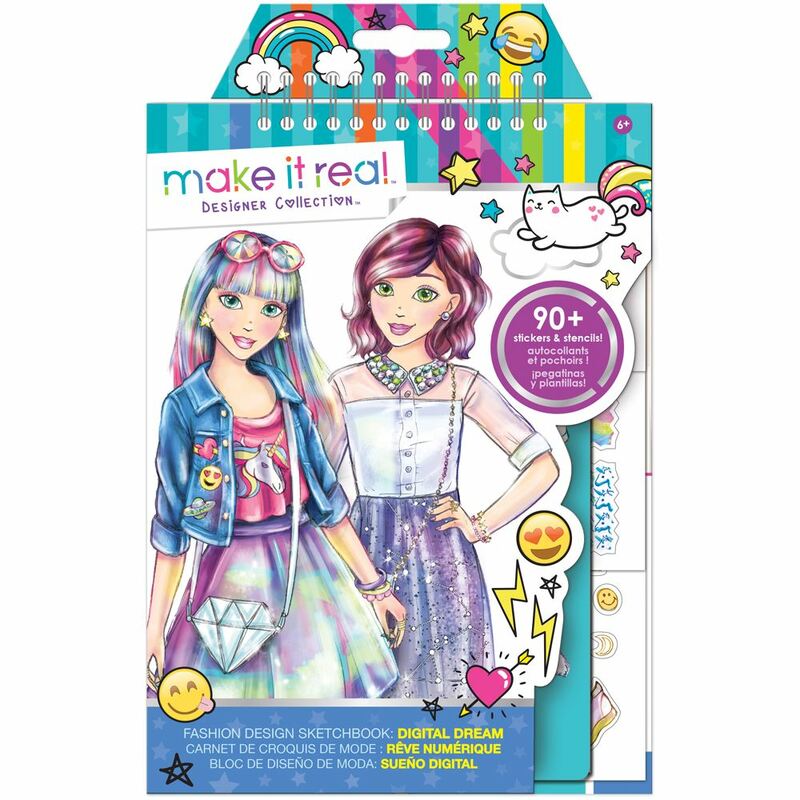 Includes: 35 colouring pages, 3 stencil pages, puffy sticker sheet, foil sticker sheet, regular sticker sheet, instructions and a dream guide. Age 6+ years. Part of the Fashion Collection. Distributed in New Zealand by Holdson.